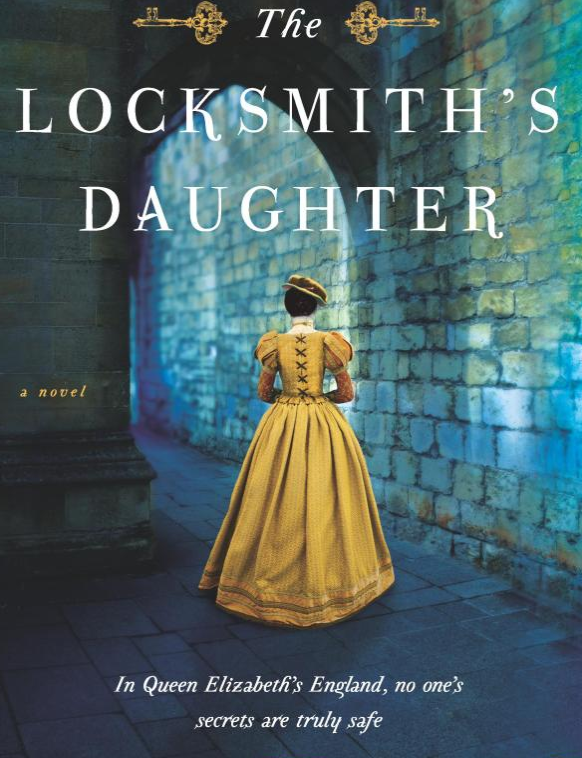 The Locksmith’s Daughter follows a young woman named Mallory Bright who, after a scandalous incident*, must make a new path for herself by spying for none other than Queen Elizabeth’s Spymaster, Sir Francis Walsingham. Not only does Mallory employ her lockpicking skills (learned from her locksmith father,) but also learns new tools of the trade before spying on and helping to expose Catholics threatening the Protestant reign of Elizabeth. Mallory’s web of spying darkens and her world is turned upside down by life-shattering revelations in the process. I enjoyed learning about the locksmith trade at the time, and did find it plausible that Mallory, as the daughter of an indulgent father, would have knowledge of such things. What I did not find believable was the sometimes too modern dialogue. I sadly found the writing style and prose to be kind of tepid, unimaginative, and predictable (the only scene that grabbed me was the execution scene.) What’s more, even though the plot seemed to follow familiar beats, the characters often seemed to act at random and without motivation or build up. Perhaps if we’d gotten that full backstory earlier, some actions would have made more sense? In turn, I also felt the romance aspect was very forced and shoe-horned. Overall, these lacking elements meant I found The Locksmith’s Daughter to be a bit of a slog since I didn’t particularly care about the plot or characters. Needless to say, I was disappointed by this one. Sorry!